If you love playing with fonts and different text styles, this review is for you. 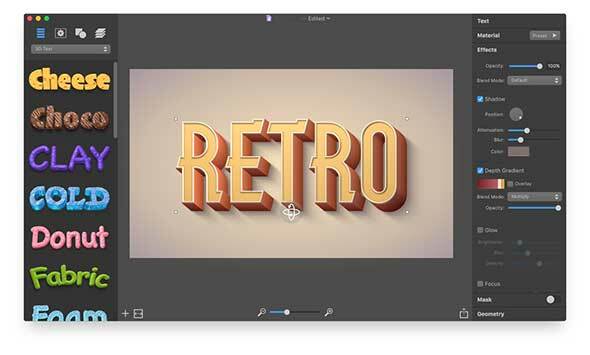 Today, we decided to review Art Text 3, a lettering and typography software for Mac, perfect for all of you typography aficionados. We tested it ourselves, enjoyed crafting some beautiful text styles and decided that this is worth sharing with you too. 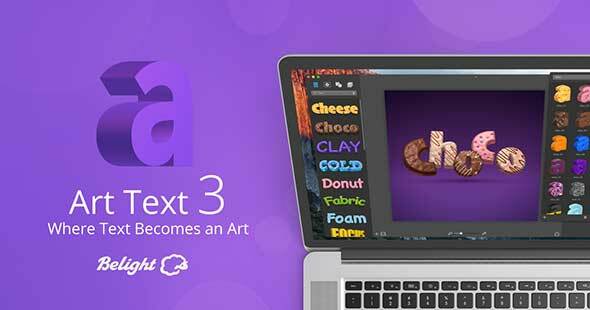 Art Text 3 was created by BeLight Software, a company founded in 2003 that specializes in the development and distribution of software and technologies for Mac OS X, iOS, Windows 8, and Android. With Art Text 3, the company wanted to help users turn any kind of boring font into a piece of art, all with just a few clicks. 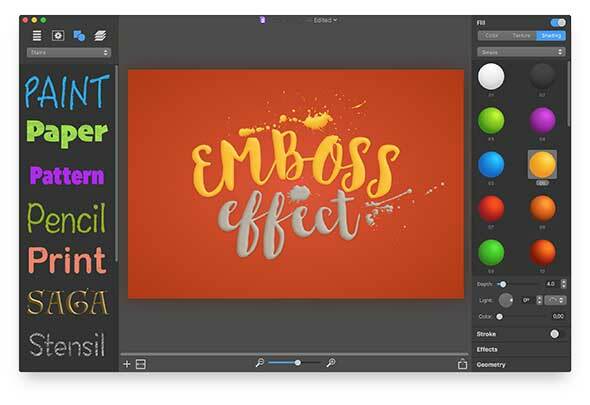 This graphic design software is specifically tuned for lettering, typography, text mockups and various artistic text effects. 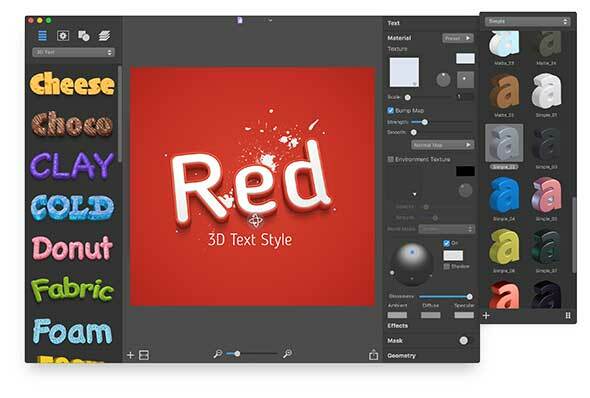 The great thing about it is that unlike other more general graphic design tools, such as Photoshop or Illustrator, Art Text 3 is already supplied with a great variety of ready to use styles and materials, selection of textures, icons, fonts and backgrounds, specially designed effects and shape transformations. What can I use Art Text 3 for? 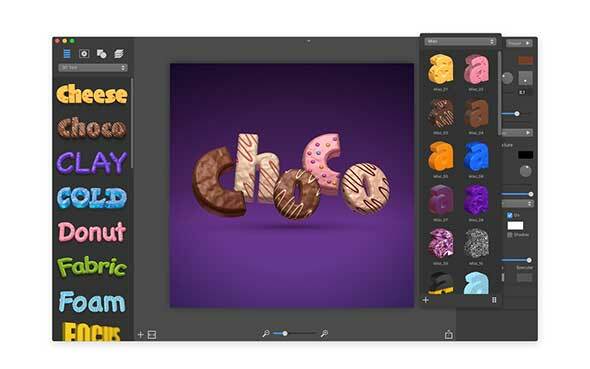 Art Text can be used to create logos, cards, flyers and presentations, all with sophisticated effects such as realistic 3D text with textures such as wood, rust, glass or even chocolate. You can also customize each text and add soft shadows and glows, aged and grunge styles, and more. This software comes with over 70 customizable templates which can help you create logo designs, word artworks, web elements and picture captions. Also, it is packed with 200+ textures, 140+ bump map surfaces, and 80+ environment map textures. It has a bunch of useful fill tools ready to be used, with 100 gradient presets, 540+ textures and 140+ shading materials. Applying 3D effects on texts has never been easier! You can easily apply soft-edged shadows or glows to 3D objects and use the optical effect tools to make background objects out of focus. Even for 2D effects, it has some neat tools, adjustable shadow and glow effects, and over 30+ masks. You can transform any 2D or 3D text and make it bend, warp or wavy, with 24 transformation shapes. You won’t need to add icons, symbols, and shapes from outside sources, Art Text 3 comes with 750+ vector icons, symbols, and shapes, 32 flash/light trace objects, 570+ backgrounds and textures. 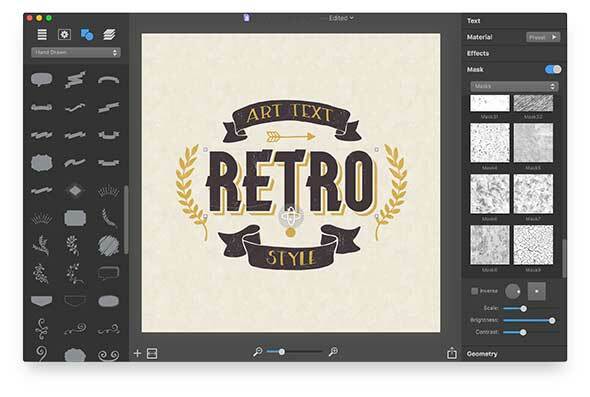 After you’ve created your beautiful typography art, sharing the result on social media is easy! You can share it on Facebook, Twitter, and Instagram with just one click, or export to an image file to use virtually anywhere. 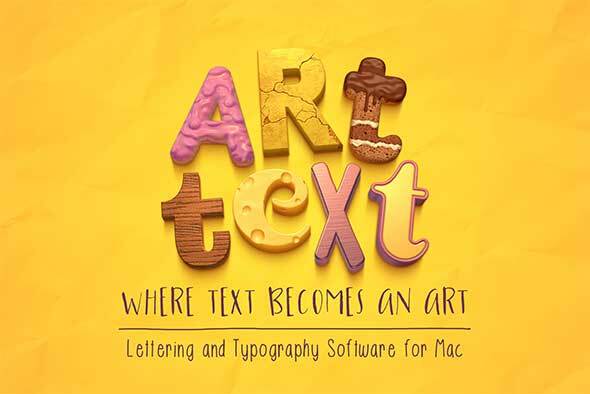 Art Text already contains a large library of text styles, materials, and text effects. You can use the presets or play around with different textures, materials, bump masks, lights and shadows. This software also contains an integrated 3D modeling engine which helps you convert any text to 3D. You can even use this to convert pictograms and symbols, all with just a click. It also includes a 3D rendered and plenty of 3D materials you can use to achieve realistic results. Masks can be used to render aged and scratched effects, for example. You can even combine multiple masks together and achieve new kinds of impressive effects. You can also work with 2D materials on which you can apply emboss, bump and other visual effects, in order to make them stand out. Textures such as glass, plastic or gold can already be found in the library. You can improve these by making them glossy, matte, bright or dark, and more! 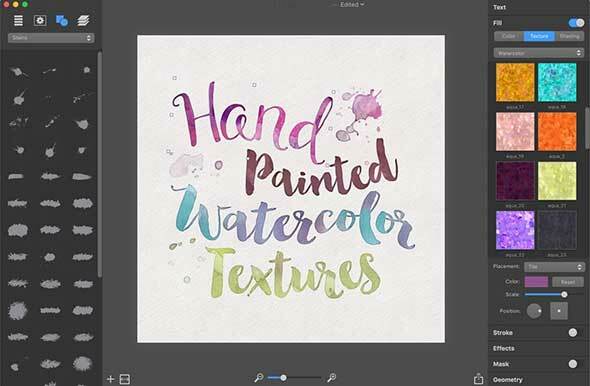 If you want to create watercolor, paint or pencil drawing effects, this can be done extremely easily with Art Text and its shading materials. You can also apply the textures mentioned above to photos, not just texts. 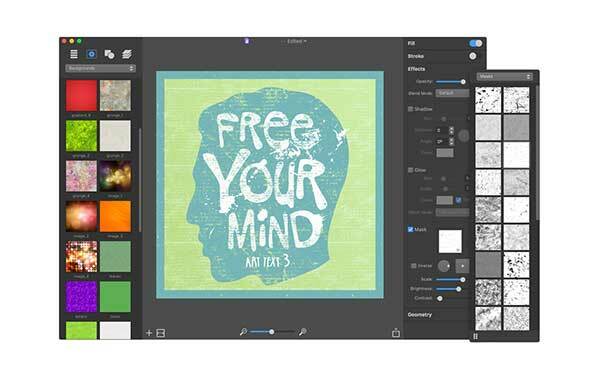 Easily add a grunge, paper, or watercolor texture to any kind of photo. These textures are tileable, so no matter the scale of the photo you apply them to, they will look seamless. Geometry transformations can help you distort texts in any way you want. Make them wavy, slanted or inflated, with just a couple of clicks! If you want to add icons, symbols or shapes to your artwork, you can do it easily by choosing from hundreds of preloaded vector icons, symbols, shapes, paint stains, watercolor blobs, and spots, already included in the library. Art Text 3 is available for purchase on the BeLight Software’s official website and on the Mac App Store. Regular price is $29.99 USD with a trial available on the website. Updating is free for all Art Text 3 users.